We caught up WordPress Hosting and Domain Name experts 34SP.com who have named Dot London as their featured domain name for October and November. To celebrate they are offering an amazing discount for Dot London domain names. Are Dot London domains worth it for my site? Should I switch? Q: How will new gTLDs affect search? Is Google changing the search algorithm to favour these TLDs? How important are they really in search? As I’m fond of saying, when Google explicitly confirms a part of their search algorithm, it’s worth paying attention! Anyway, if your intent is to switch out your .com for a Dot London and triple your traffic overnight, you’re going to be disappointed. But that’s only half the story. While Google won’t reward your domain name instantly, your clients and users might. One of the critical elements in moving up in search rankings is ensuring that a user’s search efforts result in a click to your site. At a very simple level, Google tracks how users respond to what they see in search, and reward sites where users click through at a higher rate. 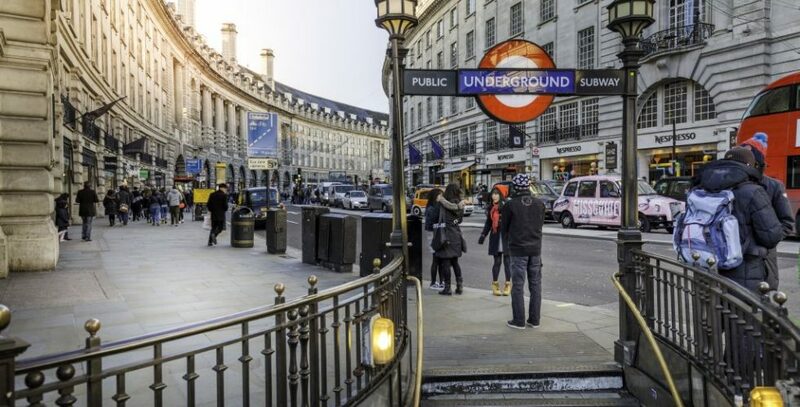 By selecting a Dot London domain name for a London-centric business or site, your chances of standing out to a potential new customer or user are increased. Search is only part of the story of course. Aside from the search benefits to a Dot London domain name, there’s the obvious branding component. A Dot London domain name adds undeniable branding to your website by connecting your site with an indisputable icon that resonates globally. There’s no denying London’s appeal and cool, and the domain name lets you link your website directly to that. Is anyone using the new Dot London domain names? No one wants to be the first one to the party, hoping things are about to get started at any moment. That’s not a concern here though, the Dot London domain name space is being quickly adopted by many existing brands and businesses. Established businesses that have moved their websites to Dot London include the capital’s international convention and exhibition centre, ExCeL London; the Prescott & Conran Group’s hotel and restaurant, The Boundary Project; and luxury health club Third Space. For the months of October and November, we’re offering a fantastic deal on new Dot London domain names. We’re offering new Dot London domain names for just £5*. That’s for a one year purchase of any new Dot London domain name during the promotion period. After that, the domain name will renew at our regular pricing of £30 per year. Simply use code LONDONCALLING in the basket at checkout. Search for a new London domain name right away here.